There aren't too many South Florida Campgrounds these days. And if you are looking for one right in the center of Ft Lauderdale, close to the beach, it can be difficult not only to find campgrounds, but to find available sites at any campgrounds. My advice: book early. No playground, but kids are not excluded here. One caution, if you stay ANYWHERE in the Ft Lauderdale/Miami area, make sure you don't leave any valuables outside, and chain up your bikes. Our bikes were stolen at this park, but we stayed for a few months. I would absolutely stay here again, just taking better precautions next time. 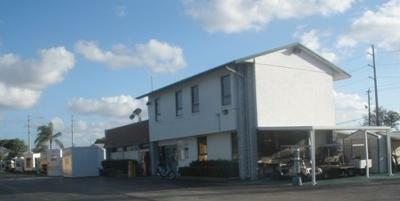 If you're going to stay in Ft Lauderdale, stay here, at Paradise Island RV. But if you're considering South Florida and don't have a pressing need to go there, keep going to the Keys or visit the west coast. If I was rating this park solely on the park itself, I'd give it a 4, but with the part of town it is located in (which is somewhat unavoidable) its a 3. I would return.